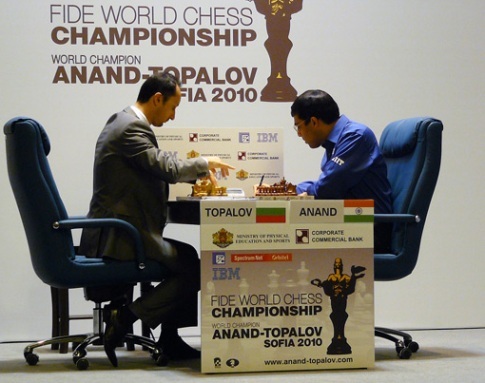 Chessdom.com has completed a large photo gallery with hundreds of photos of the match Anand – Topalov. 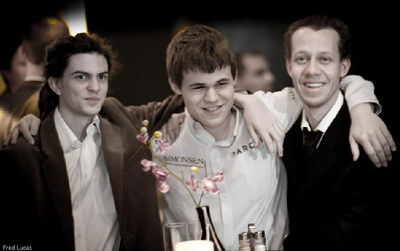 They have been compiled in a special album in which today more photos will be added. 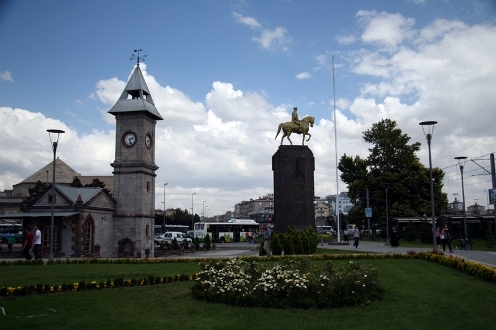 Each photo is equipped with zoom view (click on it to open in original version). 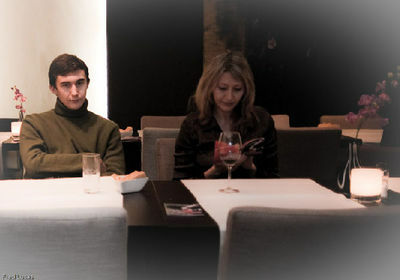 Voting system is also active, and you can vote for the photo and emotions that you most like. 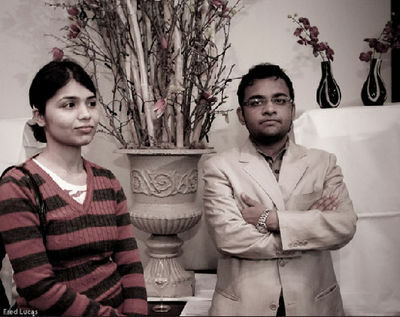 Each photo is equiped with zoom view (click on it to open in original version). 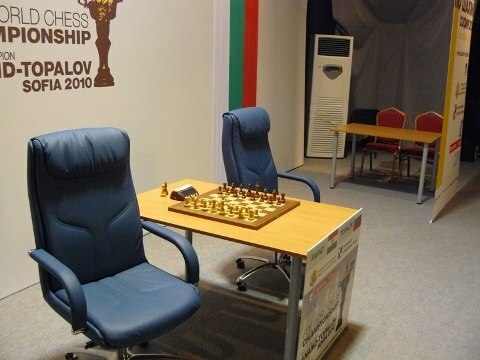 Voting system is also active, and you can vote for the photo and emotions that you most like. 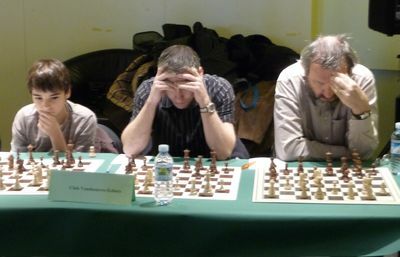 Sports minister Svilen Neikov and the organizing committee of the Topalov – Anand 2010 held a press conference yesterday at 11:00 local time. 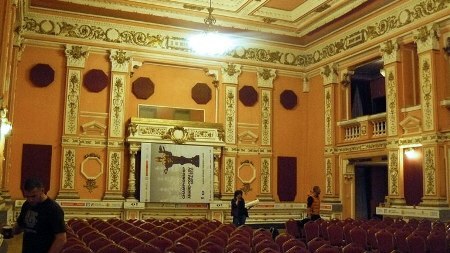 They confirmed that everything is ready for the match, including the playing hall, the special curtain, the hotels and facilities, and the opening ceremony program. 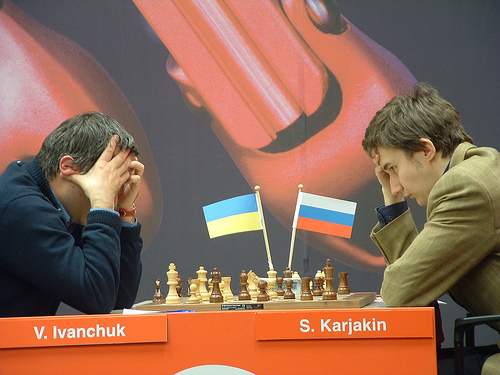 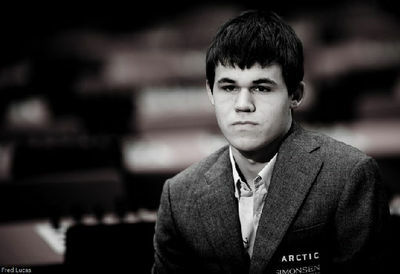 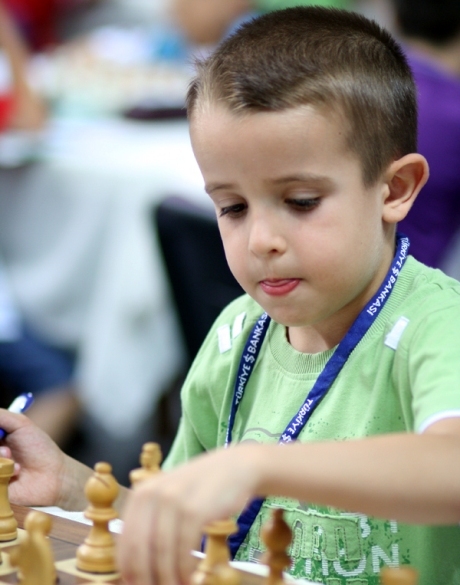 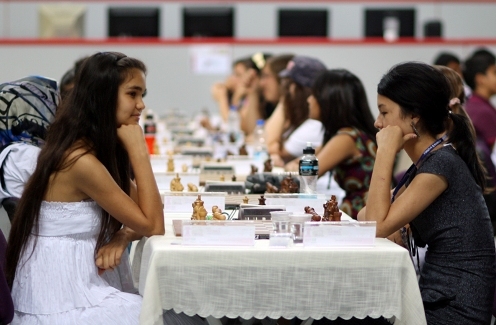 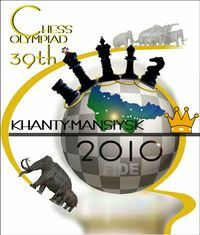 The Chess Olympiad 2010 will take place in Khanty Mansyisk 19 September – 4 October. 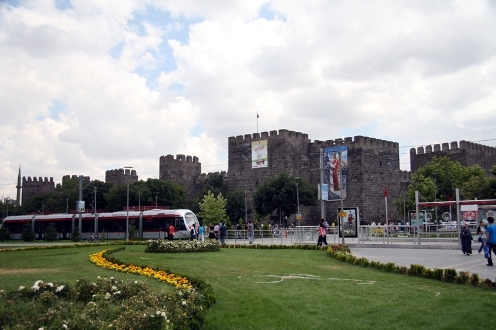 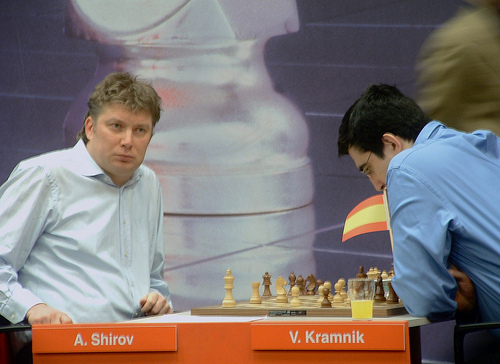 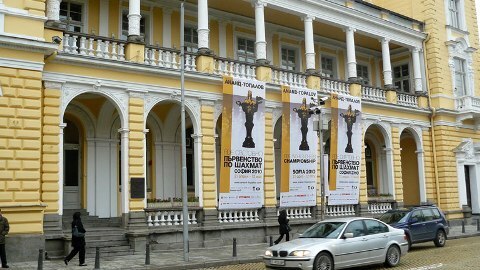 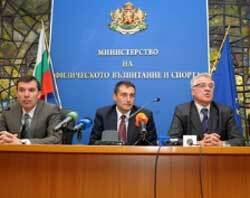 It is the strongest and most massive chess event in the FIDE calendar. 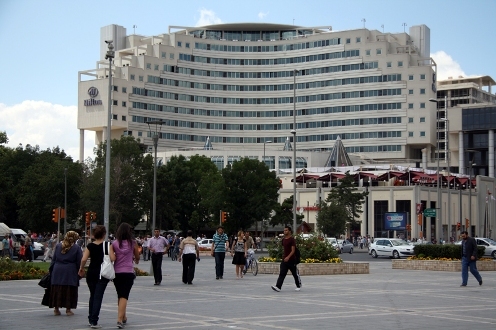 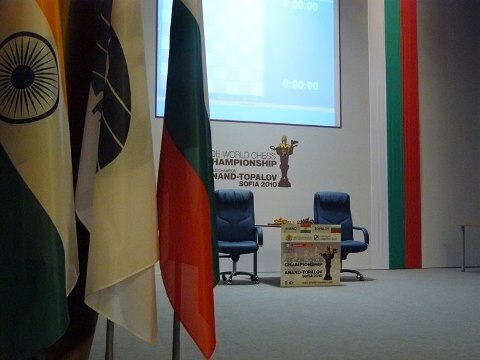 The venue of the Olympiad will be the Tennis Sport Development Center with capacity of 3500 spectators, with press conference center, and stable internet. 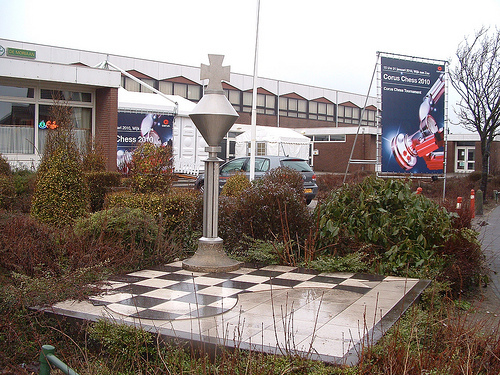 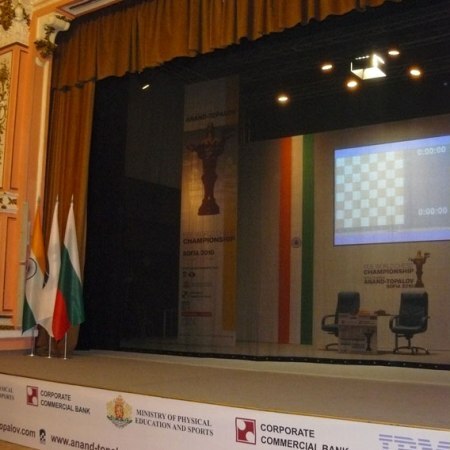 As the tradition goes, the 2010 Chess Olympiad is going to have its own logo (photo left). 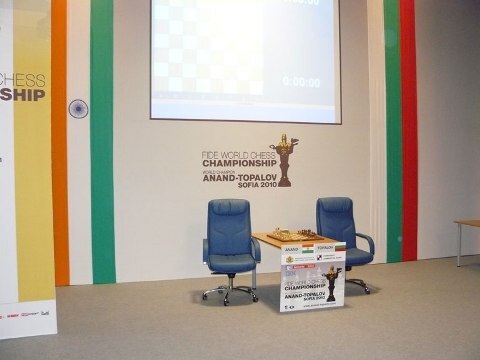 The elephant is a central figure in the design and we can expect it to be the mascot of the competition. 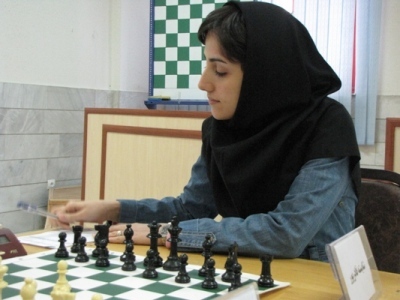 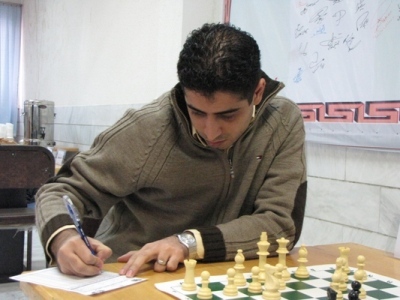 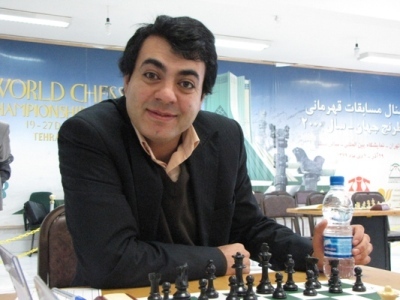 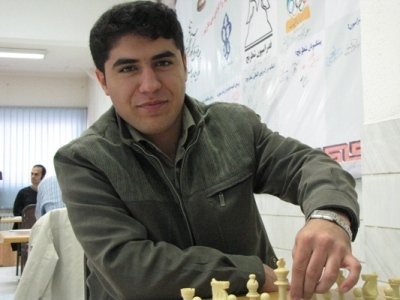 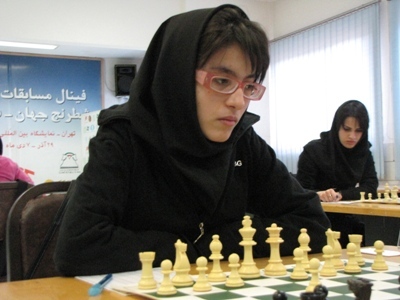 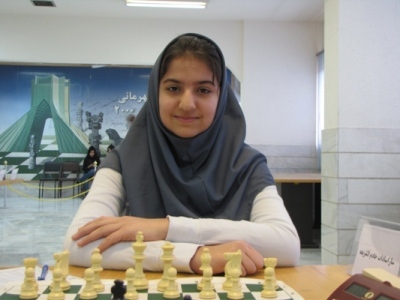 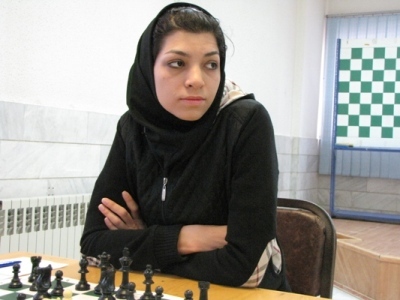 Iranian Chess Championship Finals for Men and Women are taking place on 3-14 March, 2010. 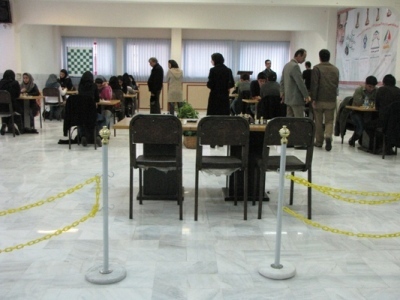 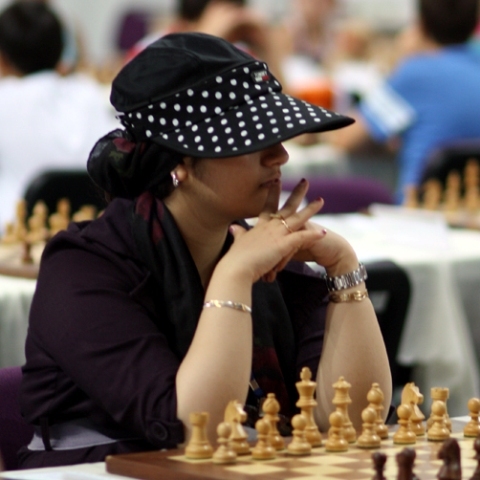 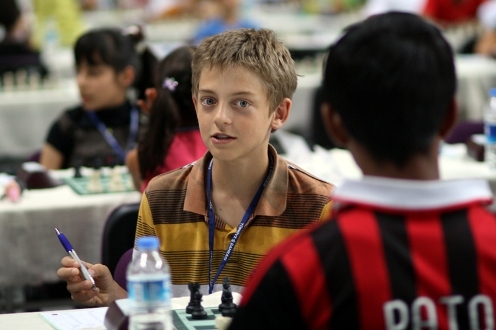 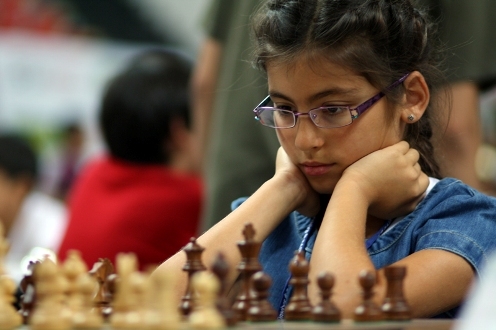 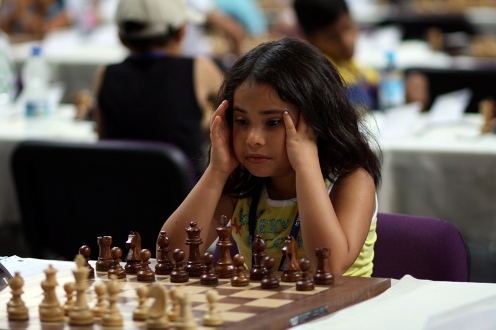 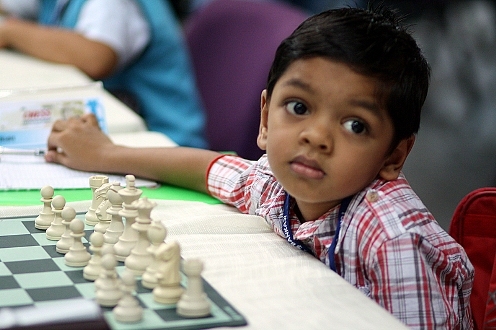 Three rounds have already been played, results and photos by Reza Mahdipour are bellow. 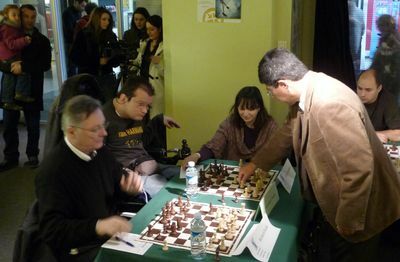 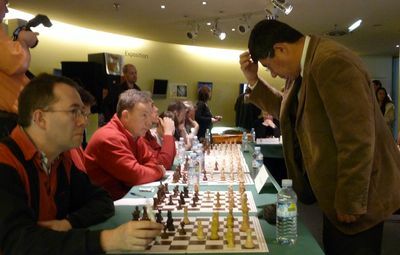 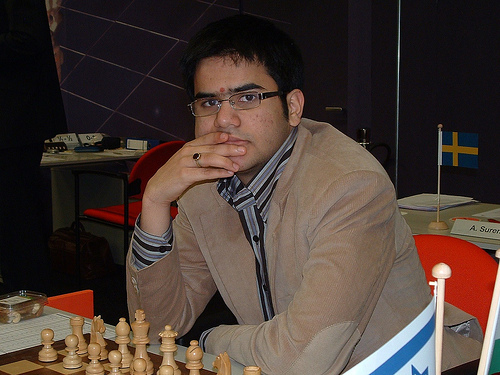 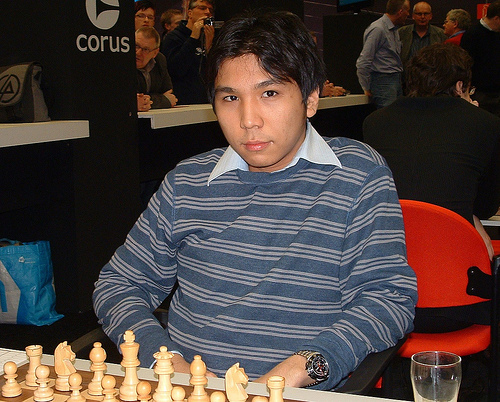 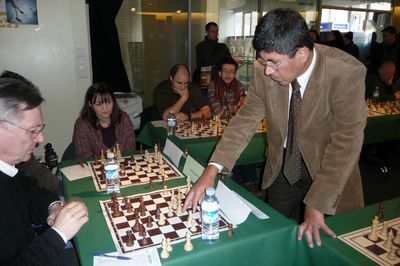 The Nancy Chess Festival 2010, which took place on 22-28th February in Nancy, France, was introduced on 20th February by a simultaneous exhibition with GM Julio Granda Zuniga. 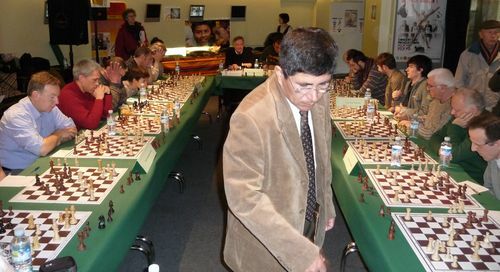 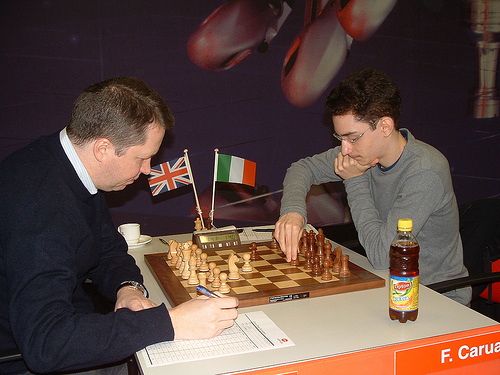 GM Granda, who later participated int he main Nancy tournament, scored 16 wins, 2 draws and 2 losses. 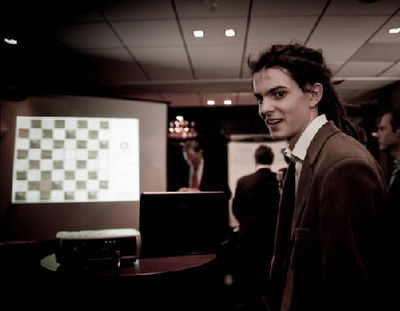 Photos by IM Christophe Philippe. 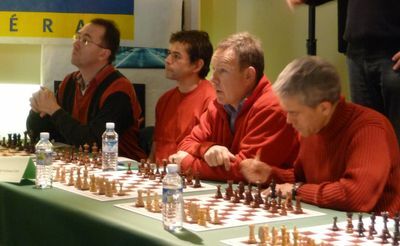 Linares super tournament has started today, but we still have some photos from the recently finished Corus for presentation. 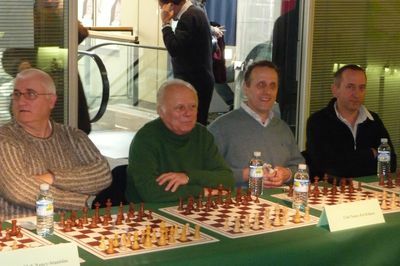 Courtesy of our friends from the popular Italian website Scacchierando, Dario Pedini and the photographer Giorgio Gozzi. 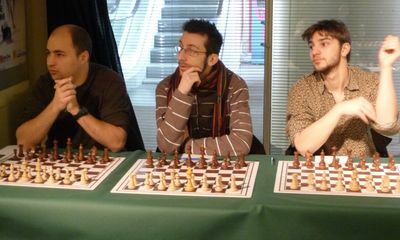 Part two will follow soon. 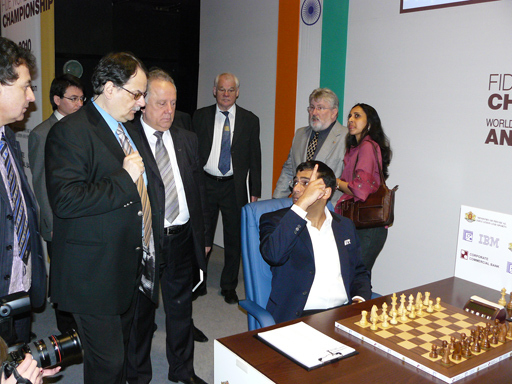 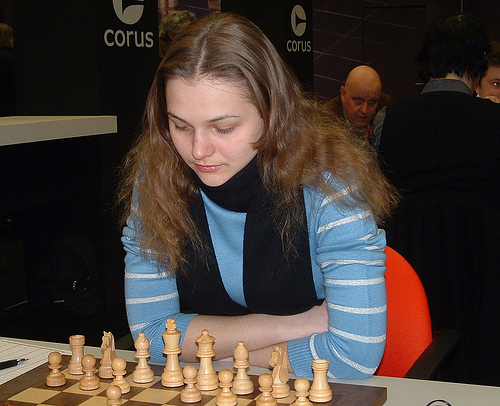 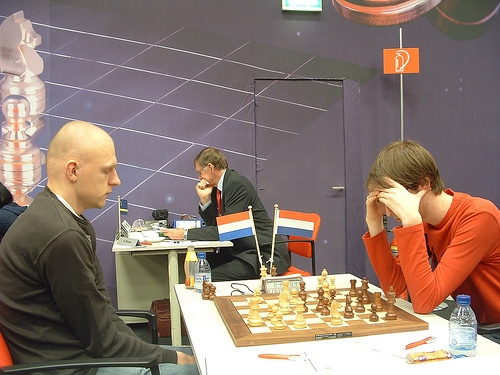 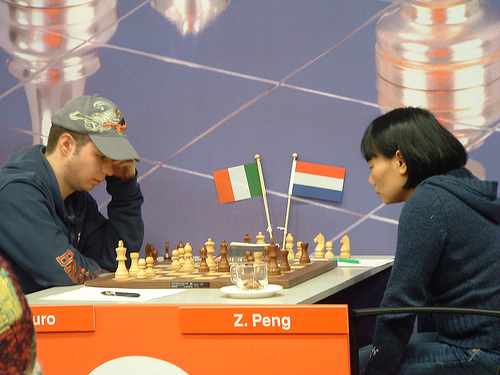 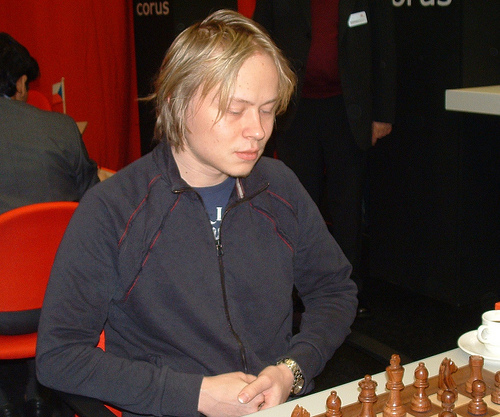 All photos are kindly provided to Chessdom.com by Fred Lucas, Corus 2010 official photographer.